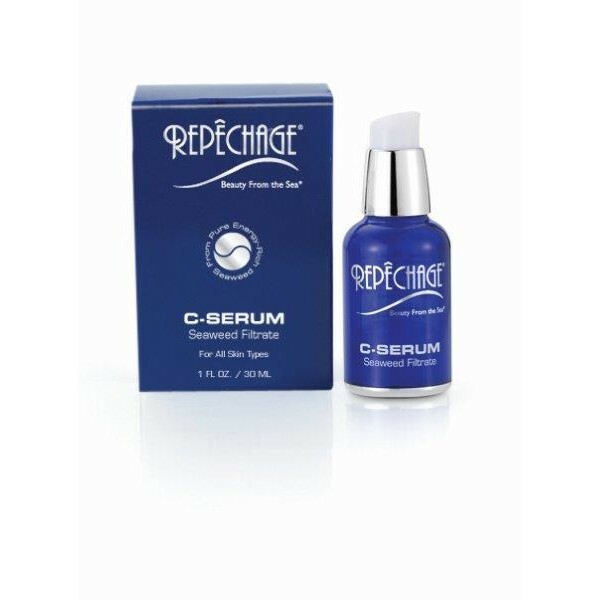 C-Serum, short for cytoserum, is a highly concentrated seaweed extract rich in vitamins, minerals amino acids and trace elements. Helps to prevent dehydration, fine lines and to return moisture to restore overall skin vitality. This EcoCert seaweed provides hydrating, nourishing, and anti-oxidant properties. Natural sources of 12 vitamins including B12, C, E, K and Beta Carotene, 18 amino acids, and 42 trace elements. Essential fatty acids help maintain the skin barrier while Alginic Acid – a polysaccharide – helps to lock moisture into the skin. Known to help increase cell proliferation.